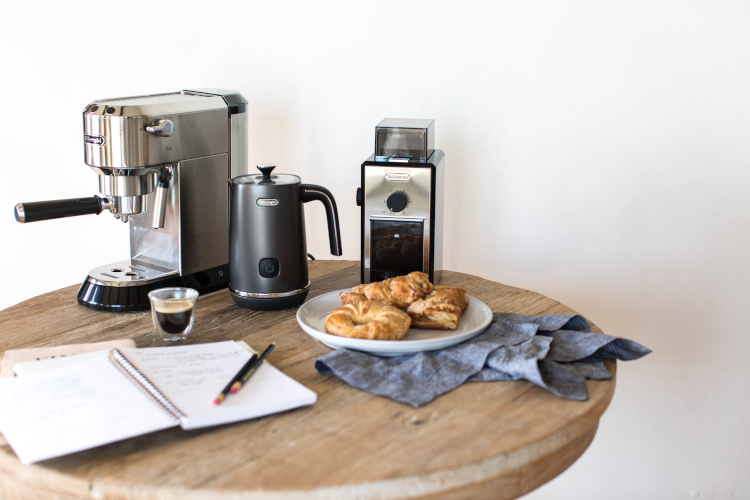 The Distinta Electric Milk Frother can quickly and easily froth hot or cold milk for delicious lattes or iced cappuccinos. The frothing capacity is 4.7 ounce of milk; the capacity for warmed milk is an even larger 8.4 ounces. Measurement marking are on the interior of the non-stick milk carafe. Simple, one button controls and removable whisks make thick perfectly frothed milk easier to achieve than ever.